We have a great line-up of 8 invited presentations (including by the guest of honour), as well as shorter talks and a poster session. The two-day event will be held at Thomson House, Friday and Saturday May 17th and 18th, and you are all invited. 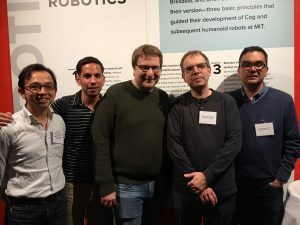 Published by McLing on April 23, 2019 at 2:00 am under Conferences, Events, Faculty news. Clint Parker is at the University of Arizona this week for two conferences. This past weekend he presented a poster at the Symposium on American Indian Languages. 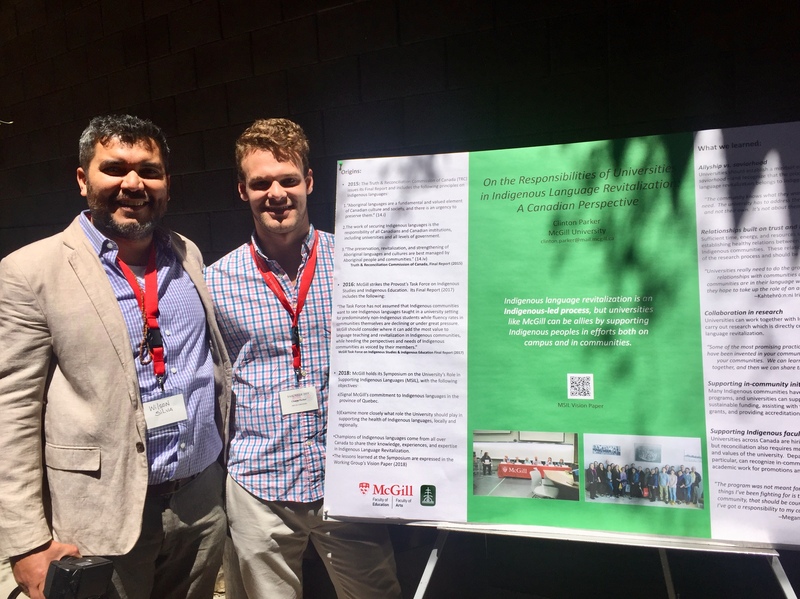 His poster, based on work from his second Eval paper, was titled “On the roles and responsibilities of universities in Indigenous Language Revitalization: A Canadian Perspective”. Next weekend he will give a talk titled “Agreement, clitic doubling, and vestigial ergativity in Shughni” at the Second North American Conference on Iranian Linguistics. 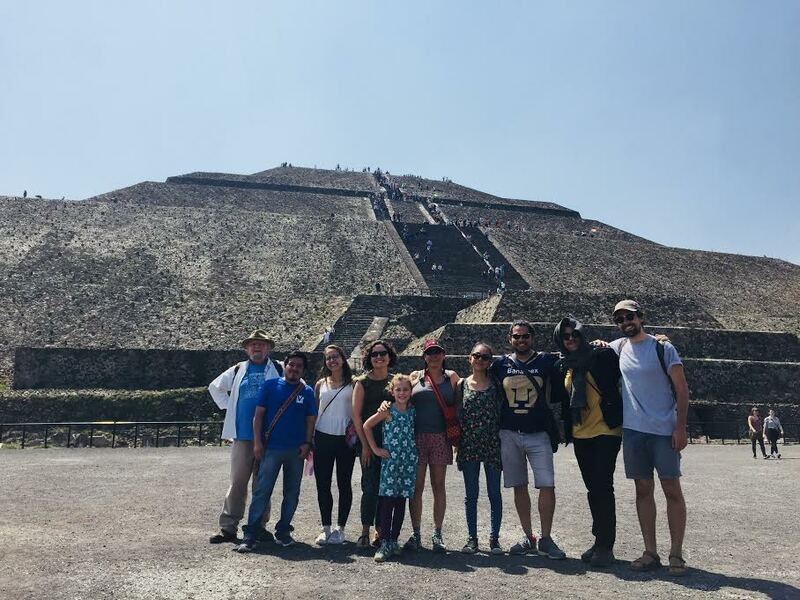 Published by McLing on April 15, 2019 at 2:00 am under Conferences, Student news. 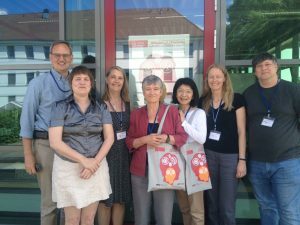 Liz Smeets is just back from the 15th Generative Approaches to Second Language Acquisition (GASLA) conference where she presented on her thesis work. Her talk was entitled “Testing L1 transfer at the syntax-discourse interface: the case of CLLD in Italian.” Congrats Liz! 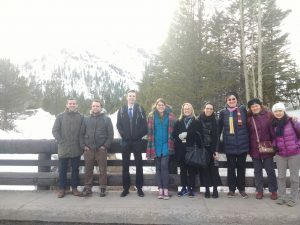 Published by McLing on April 1, 2019 at 2:00 am under Conferences, Student news. McGill linguistics will host a Workshop on Amazigh languages on March 21st and March 22nd. The workshop will have invited talks by Karim Achab (University of Ottawa), Hamid Ouali (University of Wisconsin, Madison), and Khokha Fahloune (UQAM), as well as short presentations on Kabyle by the students in this semester’s Field Methods course. All are welcome! If you do you plan on attending for some or all, please email organizer Nico Baier ideally by Monday, March 11. 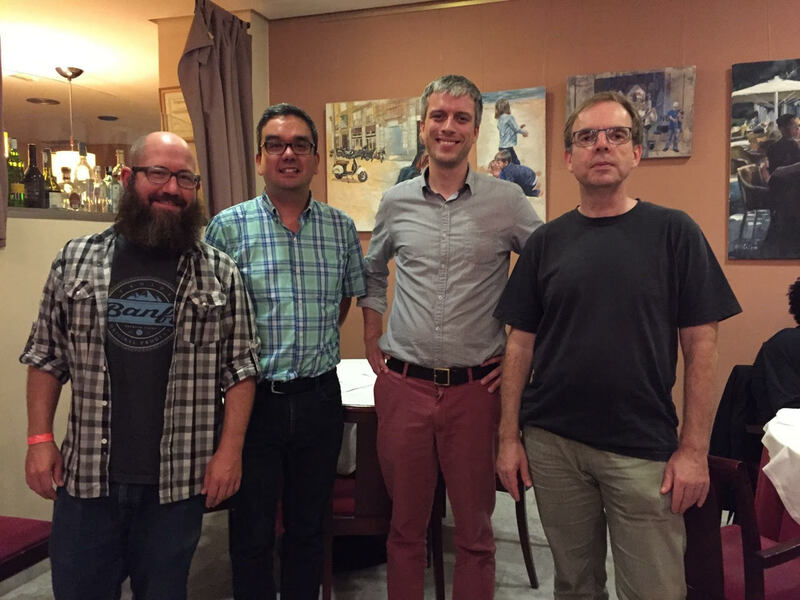 Michael Wagner presented a keynote talk titled “Toward a Bestiary of the Intonational Tunes of English” at the 4th Intonation Workshop at University of Toronto last Friday, reporting on joint work with McGill PhD alum Dan Goodhue on the on the intonational bestiary. Published by McLing on February 18, 2019 at 2:00 am under Alumni news, Conferences, Faculty news. 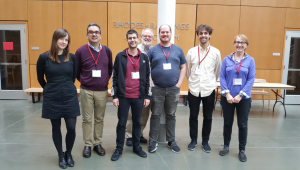 The 12th annual Toronto-Ottawa-Montreal Semantics Workshop (TOM 12) will be co-hosted by the Department of Classics, Modern Languages and Linguistics at Concordia University and the Department of Linguistics at McGill University on Saturday, March 30, 2018. 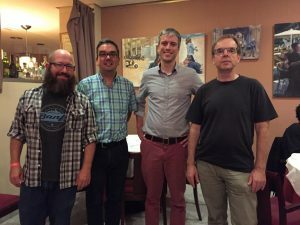 TOM is an informal workshop aiming to bring together semanticists working at universities in Toronto, Ottawa and Montreal. It is a great opportunity for graduate students to present work in progress and obtain feedback from colleagues. We invite the submission of anonymous abstracts for talks and posters. Abstracts should be at most one page in length, with one-inch margins and a 12 point font (Times or similar). Please indicate whether you wish the abstract to be considered for a talk, poster, or both. Talks will be 20 minutes long with 10 minutes for questions. Please send your abstract by email attachment to tom12abstracts@gmail.com. Deadline for abstract submission: Sunday, February 24, 2019, 11:59pm. Published by McLing on February 11, 2019 at 2:00 am under Conferences, Events. Workshop on Amazigh Languages, 3/21 – Save the date! McGill linguistics will host a Workshop on Amazigh languages on March 21st. The workshop will have invited talks by Karim Achab (University of Ottawa), Hamid Ouali (University of Wisconsin, Madison), and Khokha Fahloune (UQAM), as well as short presentations on Kabyle by the students in this semester’s Field Methods course. A full schedule will be released soon. Attendance is free and all are welcome! For more information, contact organizer Nico Baier. Published by McLing on January 21, 2019 at 2:00 am under Conferences, Events. Junko Shimoyama gave an invited talk at the 14th Workshop on Altaic Formal Linguistics (WAFL) at MIT last week (Oct. 19-21), which was preceded by a workshop in honor of Shigeru Miyagawa (Oct. 18). Her talk was titled “Embeddability of biased negative polar questions in Japanese”, which is joint work with Dan Goodhue (PhD 2018) and Mako Hirotani (Carleton University). Published by McLing on October 29, 2018 at 2:00 am under Alumni news, Conferences, Faculty news. McGill linguists were at New Ways of Analyzing Variation, NWAV 47 last week at NYU where they gave talks and ran a workshop. 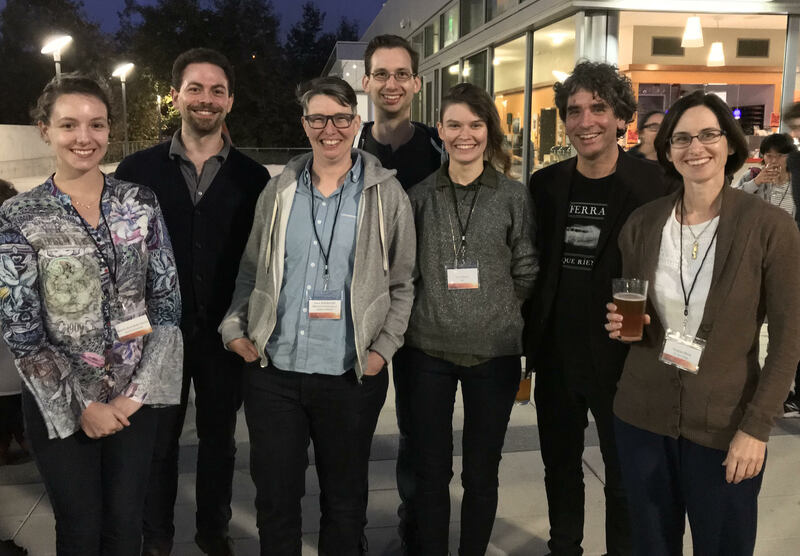 Published by McLing on October 29, 2018 at 2:00 am under Conferences, Faculty news, Student news. 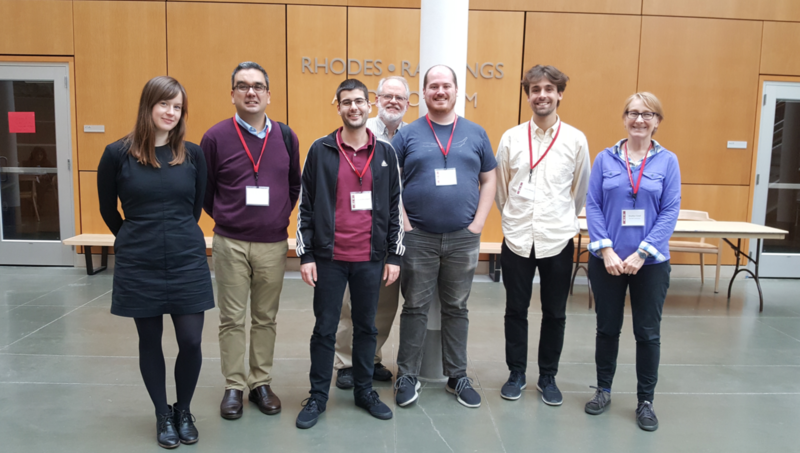 The 49th meeting of the Northeast Linguistics Society (NELS 49) took place 5-7 October at Cornell. The following papers and posters were presented by current McGillians. Published by McLing on October 9, 2018 at 2:00 am under Conferences. Lydia White and Vera Xia also presented a poster at EUROSLA, Münster, Germany, Sept. 5-8. on “Intervention effects in L2 representation and processing”. Published by McLing on October 9, 2018 at 2:00 am under Alumni news, Conferences, Faculty news, Student news. Alan Bale (PhD McGill 2006) and Bernhard Schwarz – Reverse proportionality without context dependent standards. Daniel Goodhue (PhD McGill 2018) – High negation questions and epistemic bias. 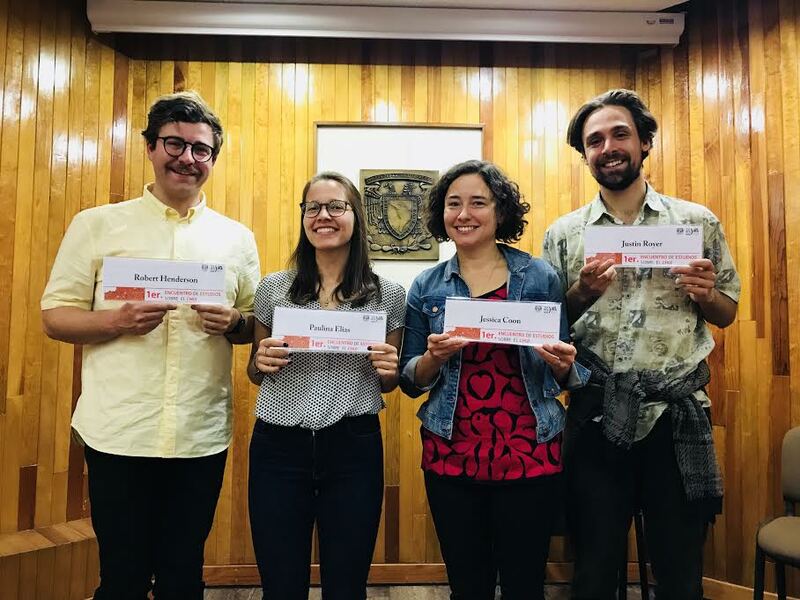 Published by McLing on September 10, 2018 at 2:00 am under Alumni news, Conferences, Faculty news, Student news. We are pleased to announce that the Department of Linguistics will be hosting the Symposium on Second Language Acquisition in Honour of Lydia White, August 31–September 1, 2018. The program is attached. Everyone is invited to attend. You can find the program here. We gratefully acknowledge the support of our McGill sponsors: Provost’s Research Fund, Dean of Arts’ Development Fund, as well as the Department of Linguistics. 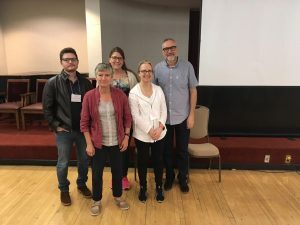 Published by McLing on August 8, 2018 at 9:04 am under Conferences, Events, Faculty news, Uncategorized.